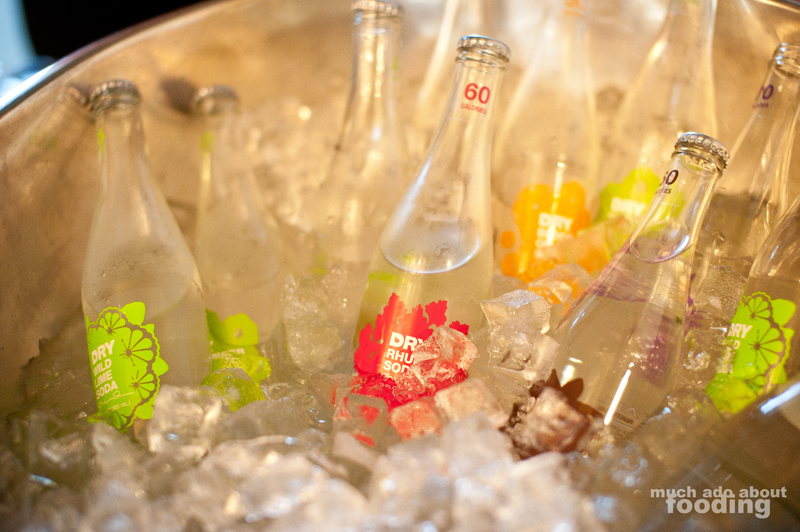 I had my first exposure to DRY Soda by going to the Golden Foodie Awards pre-events because DRY Soda was one of the sponsors. They had their drinks available at some of the pre-events which made it easy to be lured into trying them out. I had seen them before because, let's face it, it's hard to miss good design! Their clean cut branding is a good tribute to their own clean cut creations. After such, I did get to meet with some of the reps at the actual Golden Foodie Awards event itself. Selena and April were such friendly people that it was difficult not to strike up a conversation! I had had the lavender one before at a prior event (which is a subtly floral soda that you would enjoy if you need just a hint of lavender in your life), but they were showcasing just about every one of their line that night. So naturally, I gave the majority of them a shot. My first was the blood orange, a sweet citrus that was refreshing. Next I had their vanilla bean which was quite heavily scented with the creamy smell of vanilla. April got me to try the rhubarb even though I don't like rhubarb in general; it was surprisingly enjoyable! I walked away with a good sense of their product but still curious about the other flavors - to my surprise, Selena sent me a thank-you card for dropping by to speak with them (how sweet of her!) and an opportunity to try some more. So I did! I went to a Whole Foods (they're available at Bristol Farms and Whole Foods) to get a 4-pack of a flavor I hadn't tried. 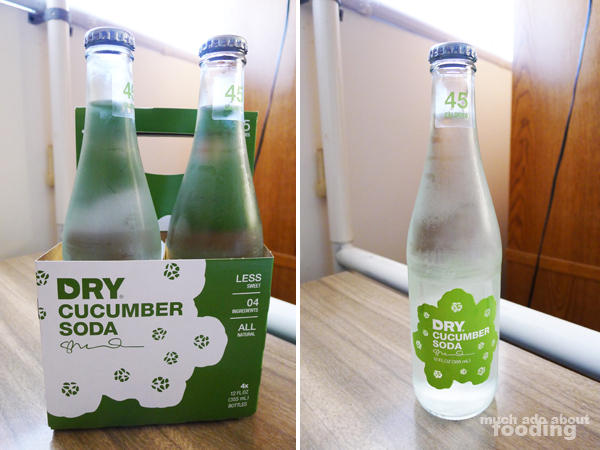 Since lime was a "common" soda flavor and juniper wasn't available at the time, I went with the cucumber. At 45 calories for a bottle, not bad! If you want to get a sense of what the sodas are like, you can visit their site to see the flavor profiles; however, to get a real idea, I suggest having some. It's more sophisticated than flavored sparkling water but not as cloyingly sweet as mainstream sodas get. 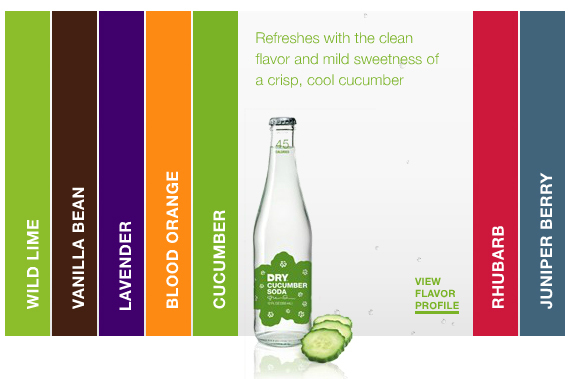 The DRY sodas are touted as having few ingredients (all natural) to highlight just those flavors to the fullest. I like how they also provide food pairing ideas on the containers of what to drink with! So the cucumber was very refreshing and not sweet at all aside from the natural sweetness of a cucumber. It's a great drink to have by your side for sure. Give them a try one day when you're looking for a no fuss soda.